When your San Antonio business requests regular paper shredding services, we’ll help you keep sensitive information safe before it’s collected for destruction. Our lockable bins are ideal for the disposal of your business documents. 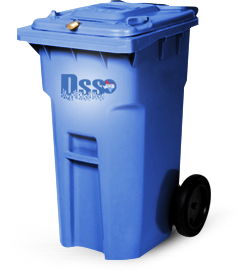 Standard recycling bins may seem sufficient for paper collection; however, due to the sensitive nature of most internal documents, a blue bin simply does not offer the security you need. Data Shredding Services of Texas, Inc. – San Antonio provides a variety of lockable bins to choose from, depending on the volume of paper your business typically circulates. We’ll happily assess your current document management situation, and provide recommendations according to your needs. 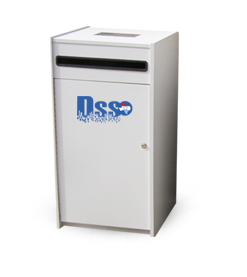 All locking shred bins are provided to our customers at no extra charge, and can be used throughout your office in high-traffic, centralized areas where you see fit. These convenient bins will help to keep your business organized and most of all compliant; all material remains locked away from the potential of prying eyes or tampering. Whether space is limited or not, we have a solution that will work for your office environment and décor.